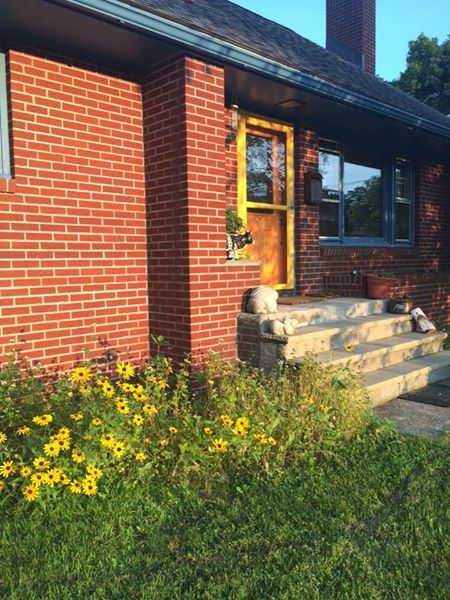 I have been slowly converting my Beacon, NY home into a demonstration garden since 2012. 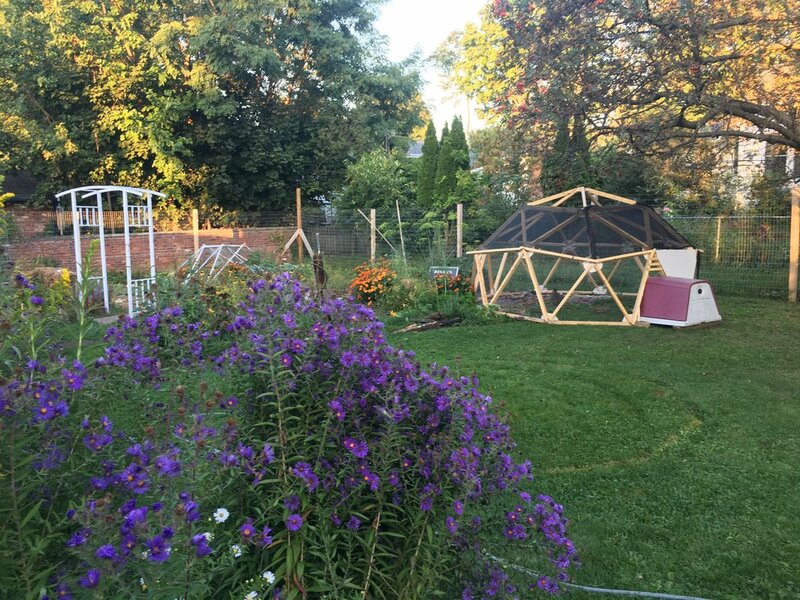 Originally a quarter acre of grass lawn, it is my home laboratory where I test ideas, learn about gardening, and generally enjoy myself with my friends and family. 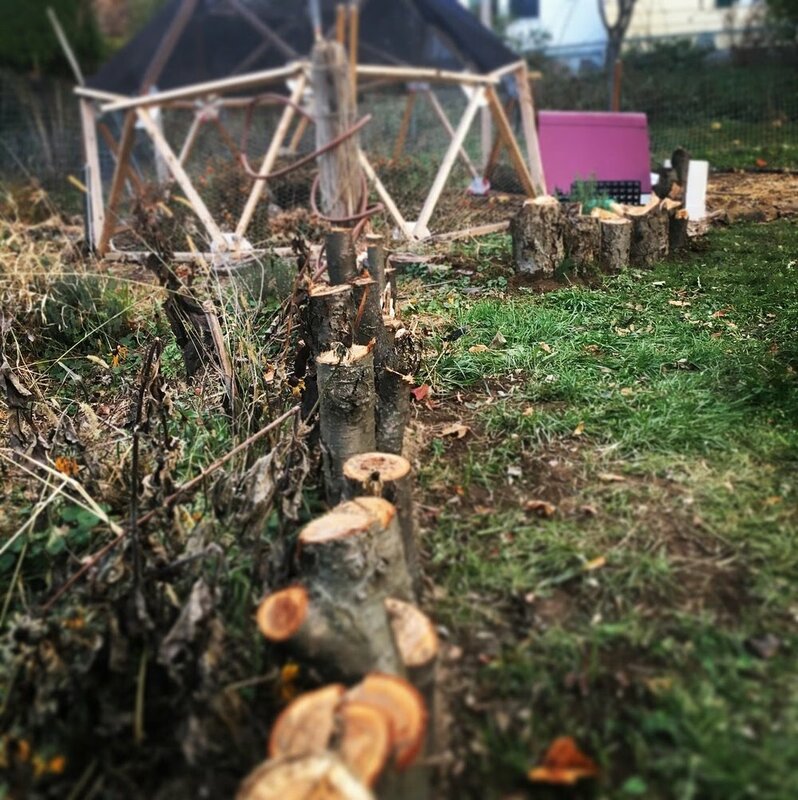 While of course I have resources most gardeners do not as the owner of One Nature, I try my best to keep my projects within reach of any earnest DIY gardener. For the most part I plant little trees and shrubs, use scrap lumber, and generally stick to basic garden tools. 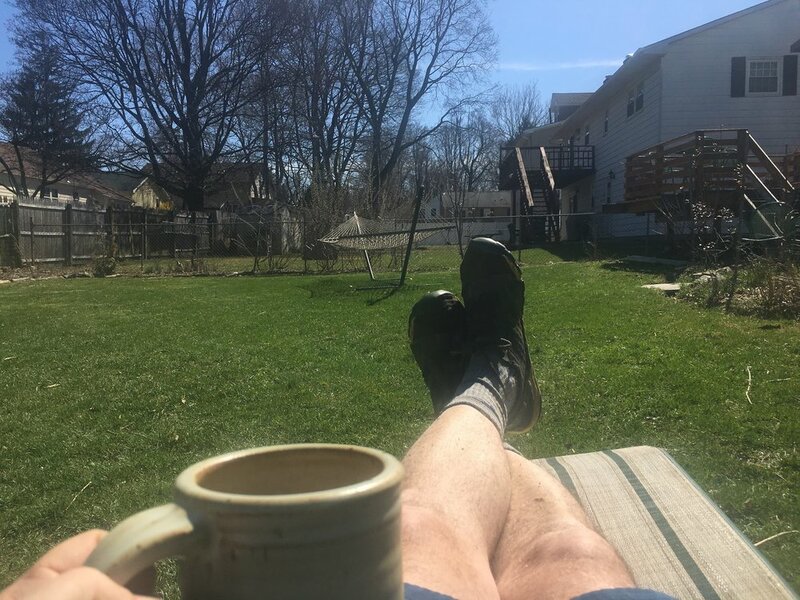 There is an entire cosmology about how I feel about gardening, but rather than bore you let’s get to the pictures, listed chronologically below. This was a 3 bin system made from the rear deck we replaced. Each bin was 36” x 36” x 36”. It was functional but the large gaps allowed the material to dry out too much in the summer. 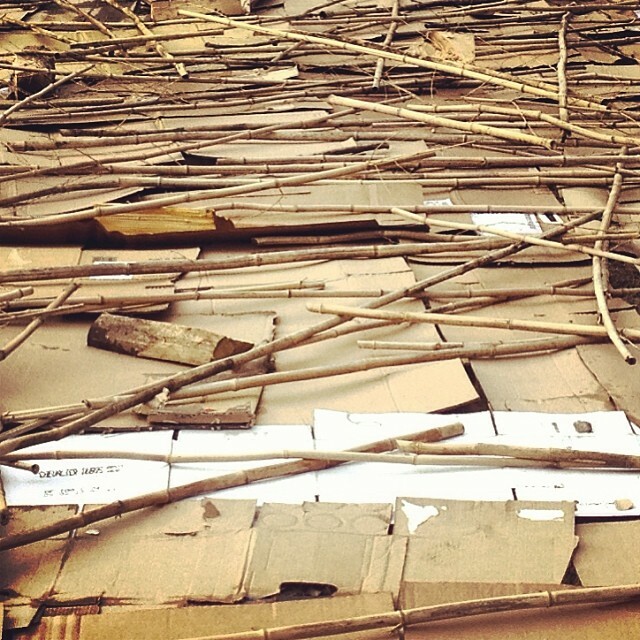 We used spare bamboo to temporarily weigh down the cardboard before covering with compost to kill a section of lawn. 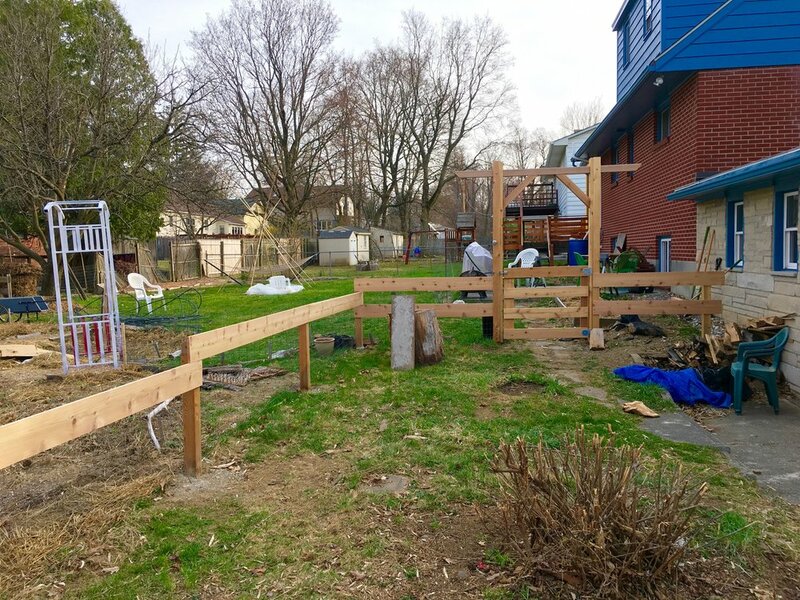 We placed cardboard over a small section of lawn and covered with mulch and reclaimed wood planks for paths. 2013 - More grassland management. 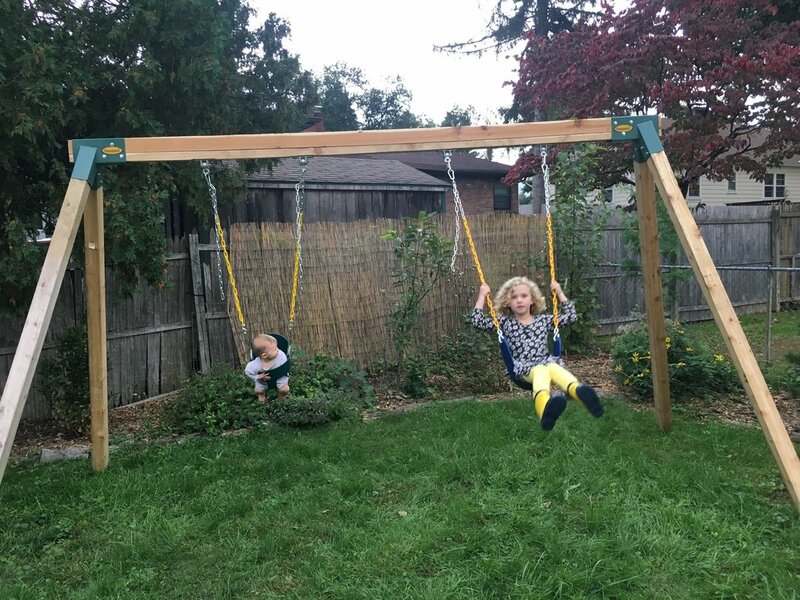 This side view shows how we used front and back 4” boards to bring the arbor up high. This was done to preserve materials and also to make interesting shadows. 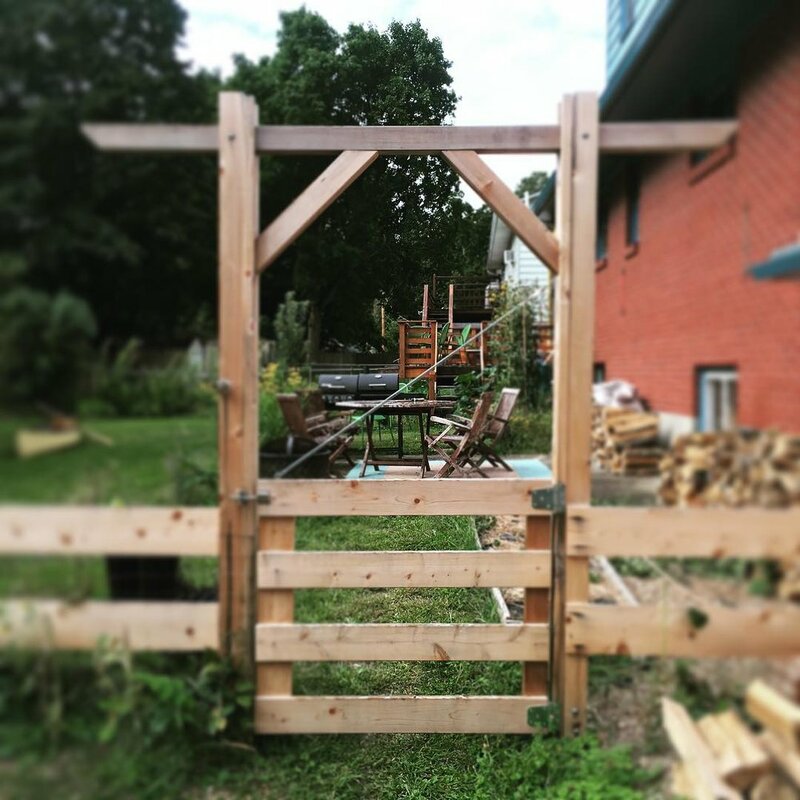 Made from scrap cedar wood (leftover from a garden design project), this is the functional entrance to the garden, close to the garage and organic storage aarea at the end of the driveway. Made from reclaimed wood, compost, and landscape fabric. Rabbits found this quickly but we still had a huge amount of strawberries in year 1. 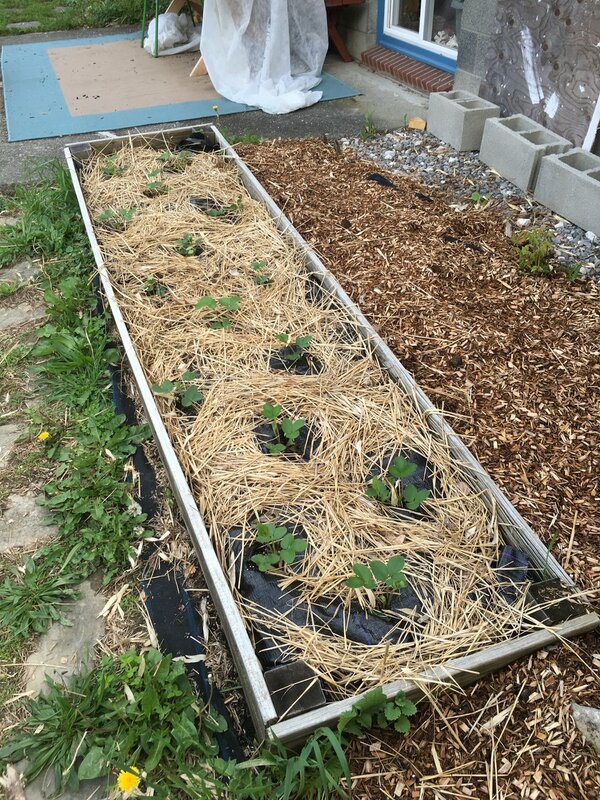 In year 2 we changed this to a pumpkin patch and transplanted the strawberries elsewhere. Buckwheat is an amazing cover crop. 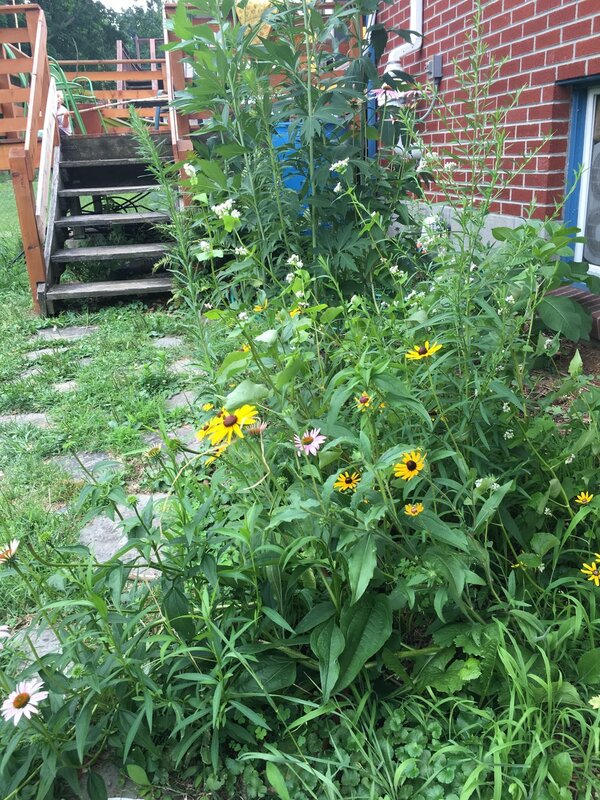 It grows super fast and flowers within a couple months. And bees LOVE the flowers. We seeded it in most of the beds that came with the house to fix the soils and make biomass for our compost. They survived, but obviously did better once we found time to mulch them. One of the tricks to building a garden over time is to just do things and make them better later. Raspberries are hardy, aggressive plants, so this short and tough period of their lives didn’t result in any later problems. By 2017 we had more raspberries than we could eat! Jumpstarting the gardening season with 1 ton of horse manure , which we added directly to our compost pile. 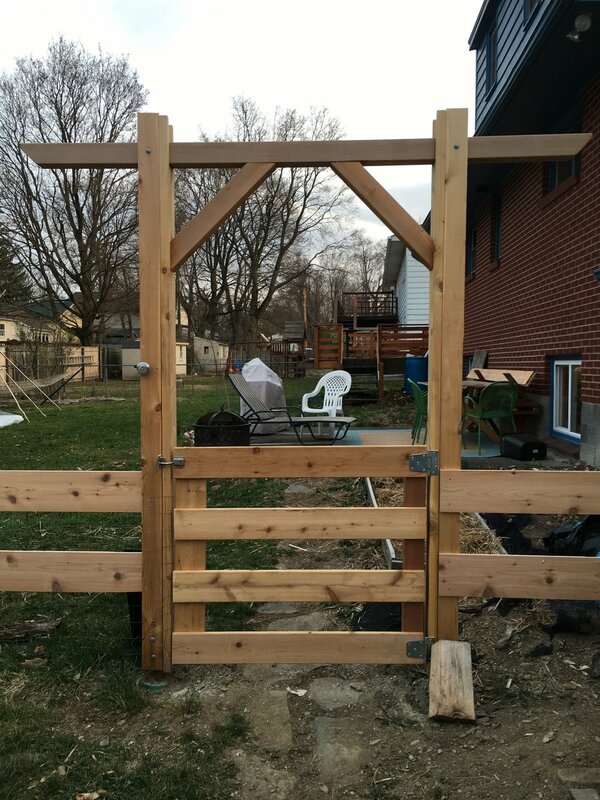 We made this simple cedar fence to match the fence built in 2014 on the opposite side of the house. Originally, in 1956 when the house was built from a kit, there was a car port and breezeway in this area. The previous owners installed this sunroom in the 2000’s (which we painted in 2015). The first of many teepees constructed from the bamboo in our front yard. Many people avoid using wood chips in their garden beds, but we use them and see really good production. 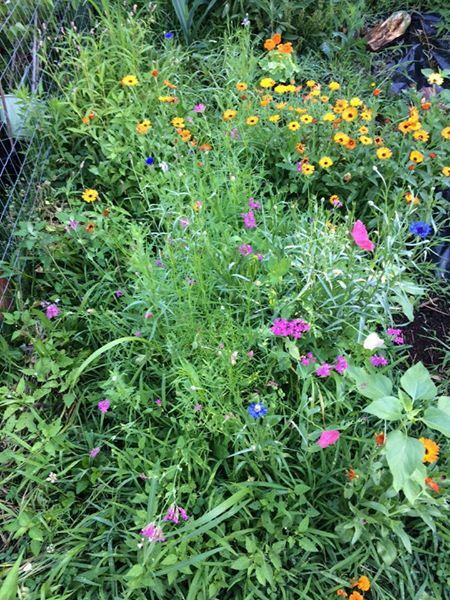 Lee Reich, who is a long standing Hudson Valley edible landscape expert in New Paltz, uses them in his garden too. Wood chips over cardboard with firewood edging. These Patriot blueberries produced fairly well for a few years despite partial shade and heavy deer browse. Eventually we transplanted them to the back yard for more sun and less herbivory. 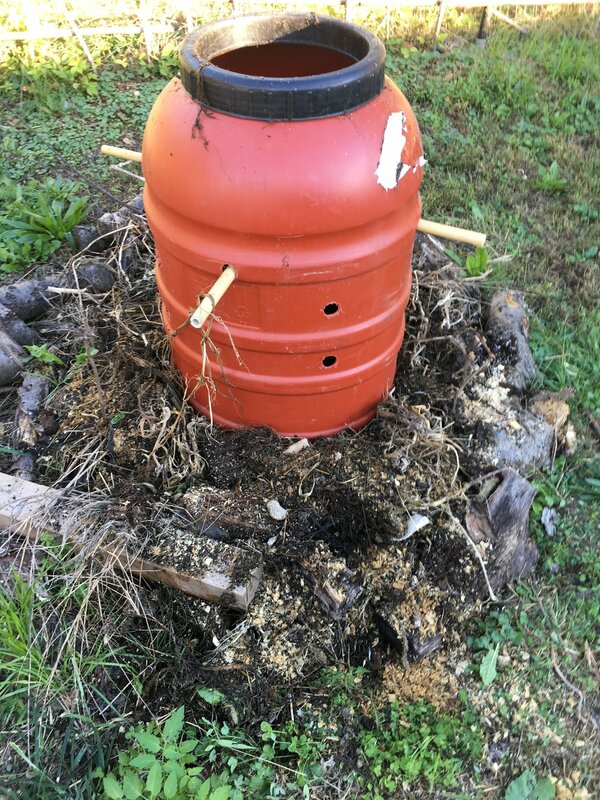 It is amazing how many different “looks” the compost has had over time. We always sow more seeds than we need. 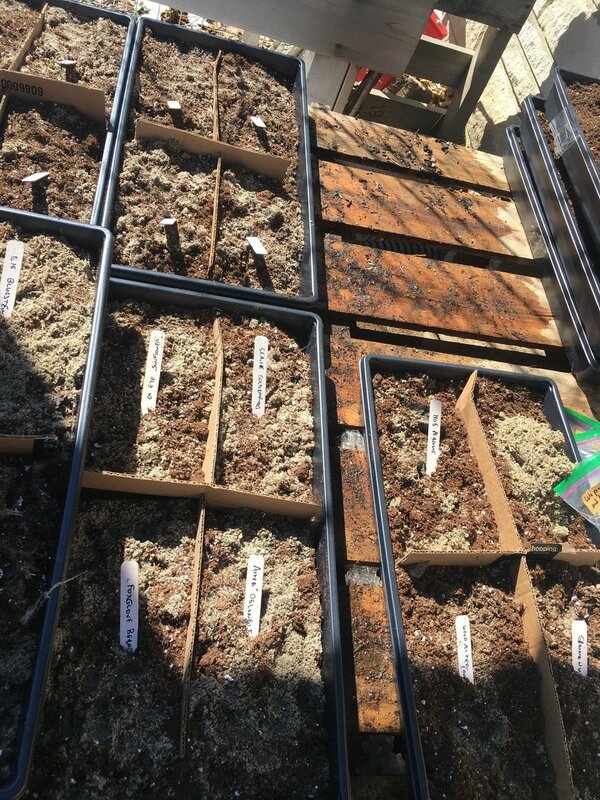 It may be wasteful, but the upside if we have backups in case some die, and we can spontaneouly add them to bare spots in vegetable beds as the year progresses. We added some dwarf fruit trees behind the vegetable production area in the northeast corner of the yard. These will also provide some privacy from the neighbors. This macoun apple had an interesting espalier-type flat branching pattern. 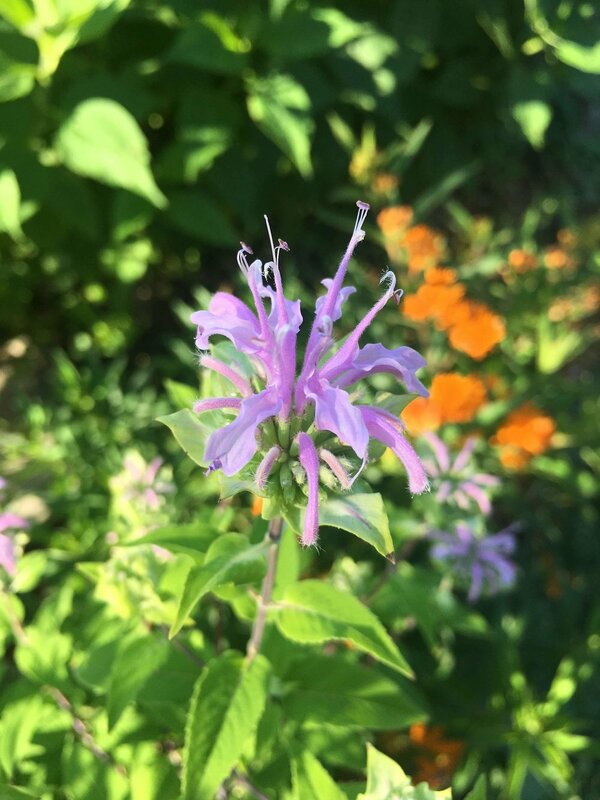 We planted it to incorporate into a hedgerow along our neighbor’s chainlink fence. The annual rye had been a temporary cover crop and was cut down shortly after this picture. Newly planted on the South side of the house by our sunroom. Perennials in a reused bed built by the former owner. 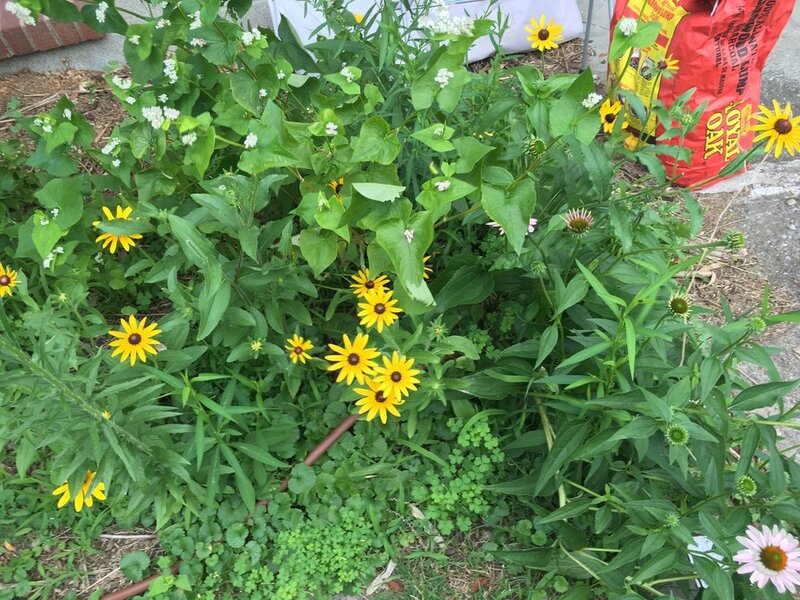 We have been transplanting bee balm, echinacea, and rudbeckia out of this bed in into other parts of the garden. The tall flowers (in the background) come almost to the second floor windows and hide the radon control system. Eventually this will likely turn into a different type of space but for now it works fine. Rain gauges are a really critical part of any garden. Sometimes you think it rained a lot but the rain gauge says otherwise. We also like it for when we go out of town on a long weekend. We hatched these Buff Orpington chicks ourselves and immediately put them to use in the chicken tractor. Unfortunately our chicks turned into roosters, which no farm wanted that we could find. It is against the Beacon building code to have roosters so we had a BBQ instead. We have been planting the same Italnian variety of garlic since at least 2008. 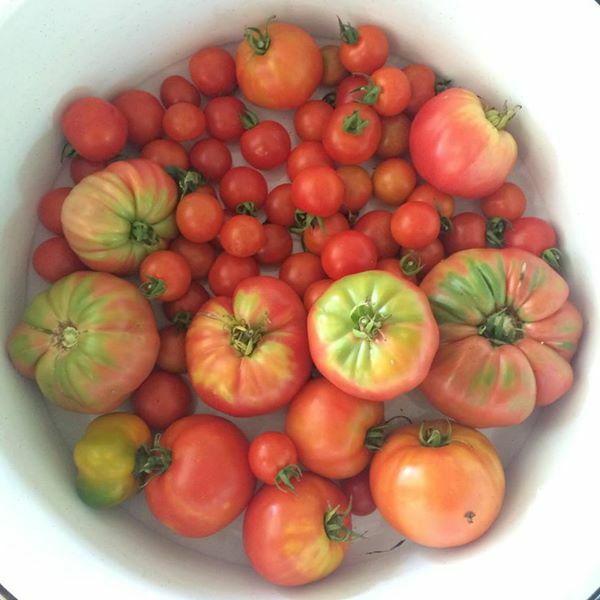 Each year we eat half and re-plant the rest. 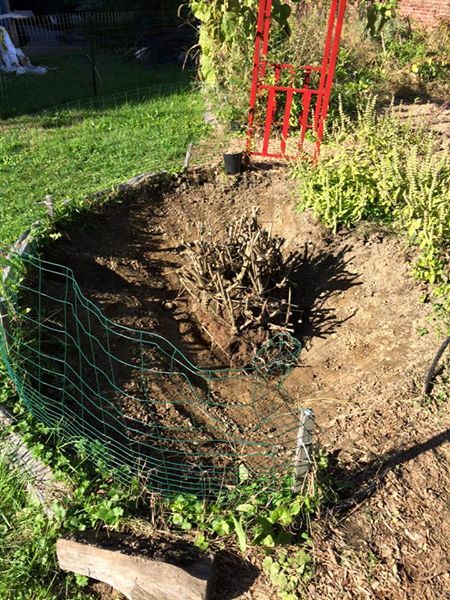 The former strawberry patch became a pumpkin patch. We transplanted the strawberries to the future koi pond location. The pumpkins did so well. After a couple years strawberries can be their own worst enemies so the decision to transplant made sense. Straw bales start off in our yard as playthings and later become mulch. 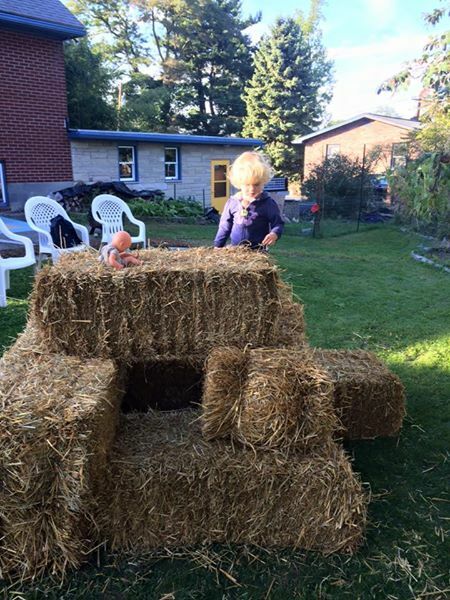 We have hosted 30+ kid birthday parties with straw bales as the focal point. Most everything is going well, but the bean trellis we built is noticeably bare because we accidentally planted bush beans instead of pole beans. Still, it gives a nice architectural form to the garden. The shade under our rowan tree (which later died 2017 from an internal rot) was a blissful place for plants and people alike. This gooseberry poked us so many times that we gave up on it. And eventually a deer killed it. We normally weed and plant beds as needed throughout the year. The growth on either side, provided it is not too weedy, makes excellent shade for little seedlings. We kind of plan these, but mainly they row where they want from past year seed banks in the soils. The trick is to weed out what you don’t want before a problem develoops. 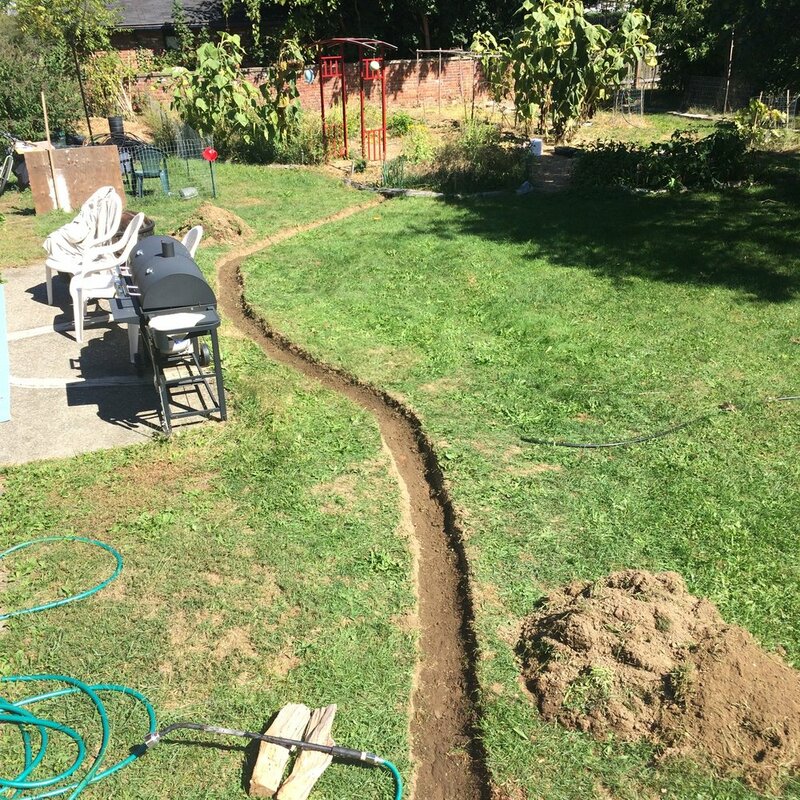 We dug this swale to convey water from the building roof to the annual garden. We used a garden hose to We also dug a depression in the gorund to passively hydrate surrounding plants and fruit trees. Eventually we will convert this depression to a pond and constructed wetland. This is a crude concept sketch on an iphone screen that shows how about 90% of our roofwater is collected and sent to the future koi pond. At the time this was dug to be the koi pond, and the terminal point in our roof water harvest system. Since then this area has become the treatment wetland for the future koi pond. That root clump in the middle is what is left of the rose-of-sharon that we have been trying to kill since 2013. After taking a while to establish, the concord grape finally started to climb up the downspout. We harvested the rye cover crop and used it to mulch around new sweet potato sprouts. This little nut tree will grow to 10-15’ tall and shade the patio area some day. On the opposite corner we planted another Paw Paw. In the foreground you can see the swale we dug a few months earlier, which was filled with leftover pea gravel from a private garden design/build to mulch out weeds and but still allow water flow. Someone in Cold Spring was selling this teak table and six chairs for $60. Deal! Between the hot sun and the wet swale, these plants are really happy. 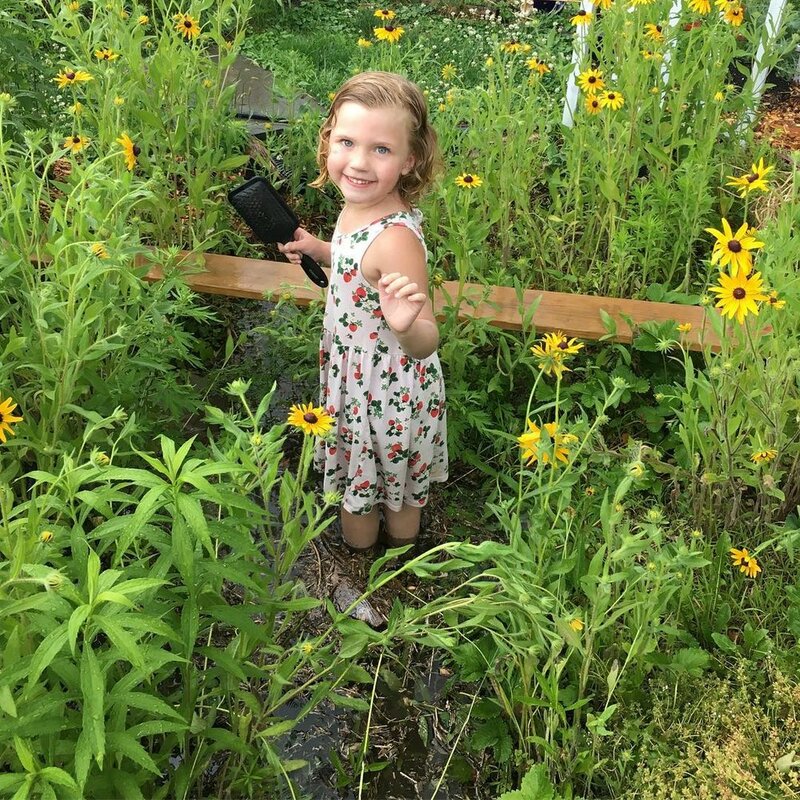 From left to right: little bluestem, common milkweed, hazelnut, NY aster, foxglove, seaside goldenrod, helianthus, echinacea, seaside goldenrod, aster, paw paw. We put our “Egloo” in one of the triangualr notches. Unfortuately this was too heavy to move easily so it stayed for a while. And difficult to secure- we lost our chickens to a racoon. We continue to mow interesting patterns into our clover lawn, in this case a little nest for a four-year-old. This was about 20 minutes after a heavy summer thunderstorm. It is important to take time in the garden to appreciate beautiful things. 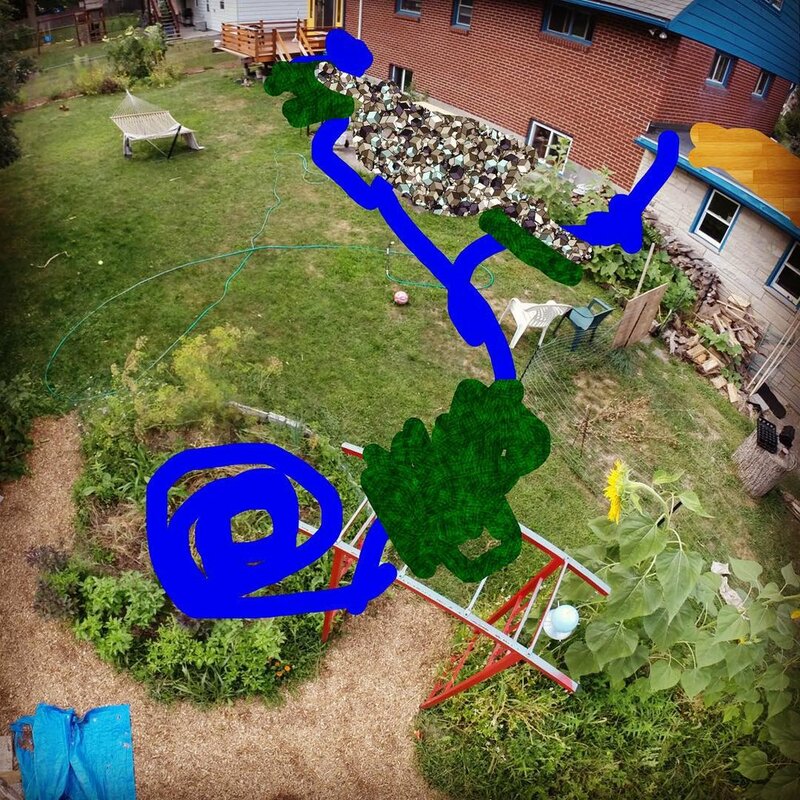 Very rarely do we scale out drawings for our garden because it feels too much like work. But for big moves like this front yard terracing project it is worth making at least one little sketch in AutoCAD before diving off the deep end. Stringing up this hedge of sandbar and prairie willows at the end of their first season. 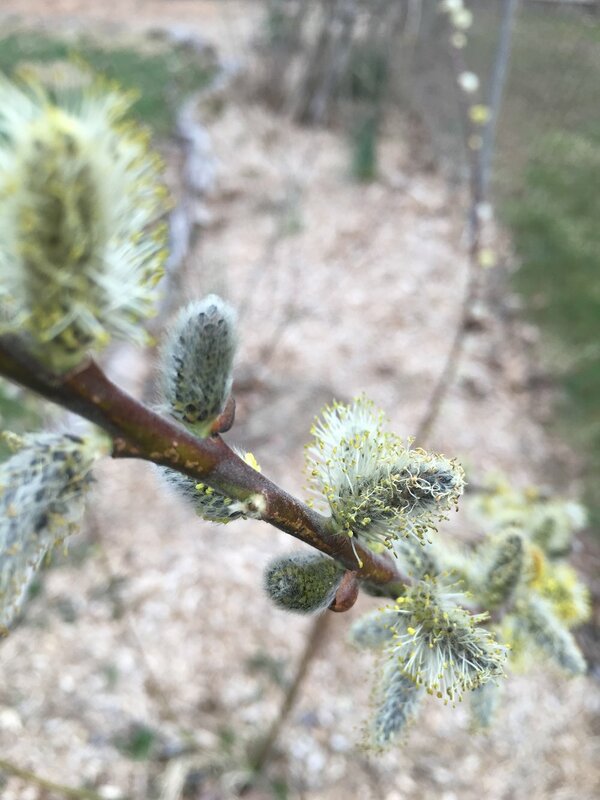 Willows can be trained to grow in specific forms but must be pruned aggressivly since they can increase by several feet a year in height. These are growing into adjacent apple and pine trees and will form a continuous hedge along our neighbor’s chain link fence. The first section, shown here, will be a sand filled treatment wetland. Then the water will waterfall into a second cell that will be lined and full of koi fish. The plan is to use a small solar pump to continuously move the water from the pond to the wetland. In 2018 we bought a Bobcat MT85. It is a 30,000 dollar piece of equipment that gives us a lot of extra help. Digging a new koi pond was a LOT easier with this machine than it would have been in 2017. 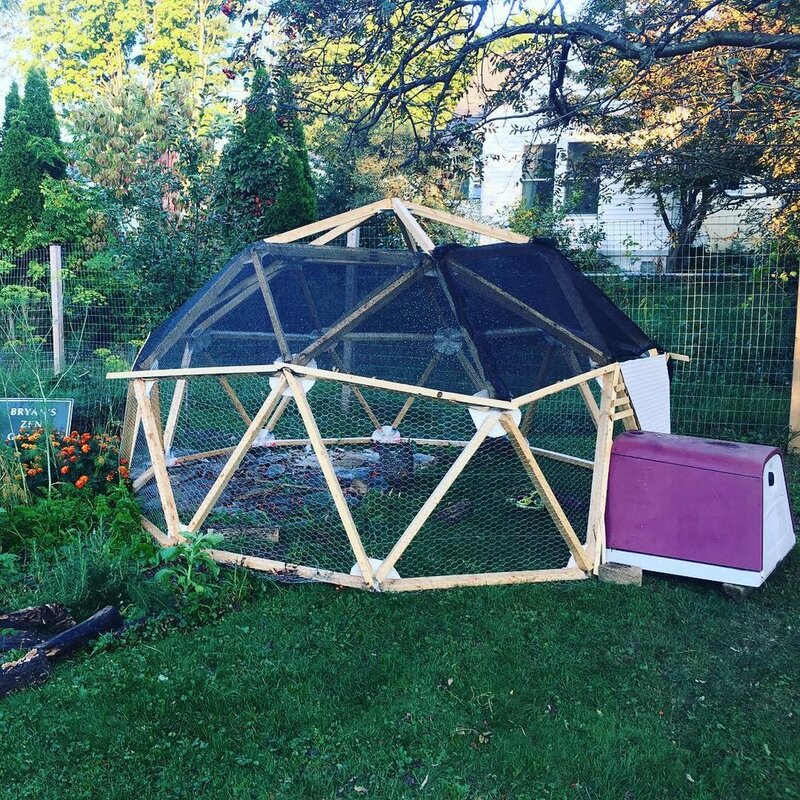 For the time being the geodesic dome, formerly the chicken coop, will host vines to shade the pond.